We took a day out last week to do a road trip to see the new Ariya collection from Sottero & MIdgley. The Ariya collection is channeling old Hollywood glamour and sophistication and gives brides the drama they are looking for. 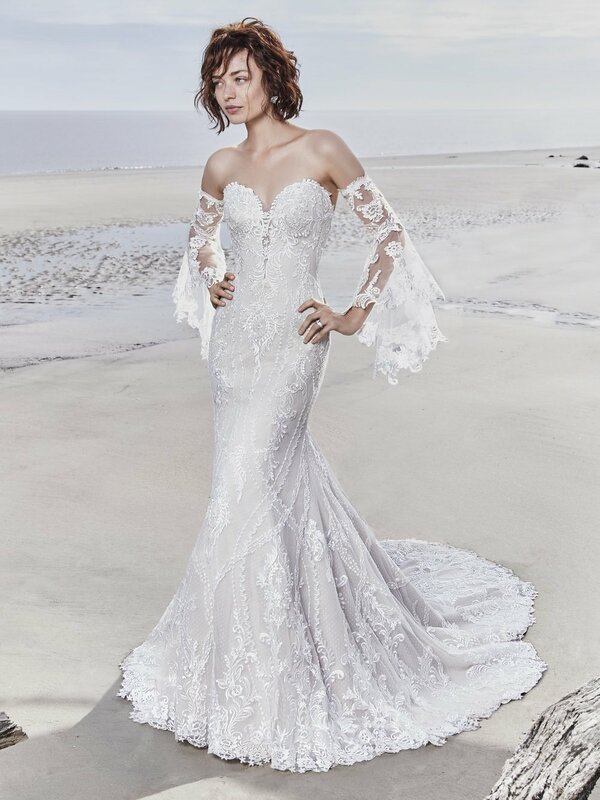 The use of luxe fabrics like shimmering crosshatch tulle, lace, crepe and mikado give variety and added hints of Swarovski crystals and beads cascading over the beautiful fabrics give all the glamour. The new collection will be in-store by summer 2018 but keep an eye on our events page for the next Sottero and Midgley designer weekend!